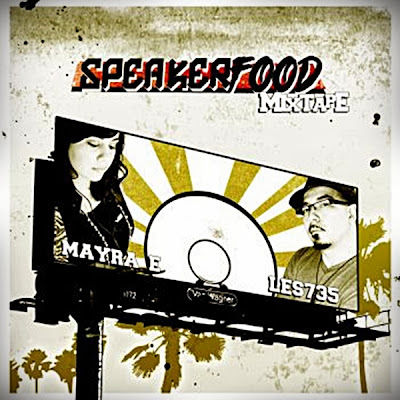 [episode 82] Speakerfood Mixtape - DJ Les735 and Mayra E.
Welcome to Episode No. 82 to THEMIXLAB. Sit back enjoy as we feature another dope 'n smooth mixtape: "Speakerfood" from one of our local Phoenix spin docs, DJ Les735. Les did not just do this mix alone he actually collaborated with his wife, DJ Mayra E. The husband & wife duo selected male & female tracks that will definately feed your speakers with some True Hip-Hop, Neo-Soul, and good underground Rhythms. Inside you'll find a few local Emcees from the PHX area as well as known artists like The Roots, Rah Digga, Gang Starr, illa J, Aloe Blacc, Nicolay, Mystic, Floetry, Common, and MORE! Enjoy and God Bless! 12. The Remedy - M.P.R.E.S.S. 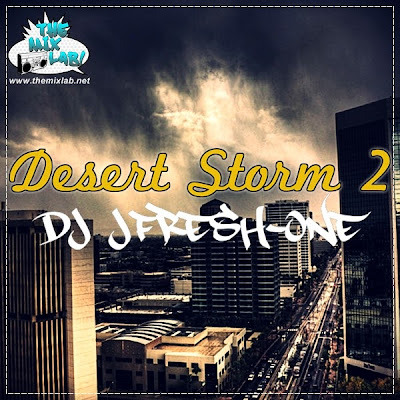 Here's a 2nd installment to the 2012's Desert Storm mixtape. DJ JFresh-One offers a mixture of 30 songs from Hip-Hop, R&B, Soul, Rock, Pop, and Throwbacks. The idea for this episode is to capture a soundtrack for those "rainy days" or those mellow nights after the storm passes. Join JFresh-One as he provides some tunes while the monsoon goes on here in Arizona. Peace & God Bless!